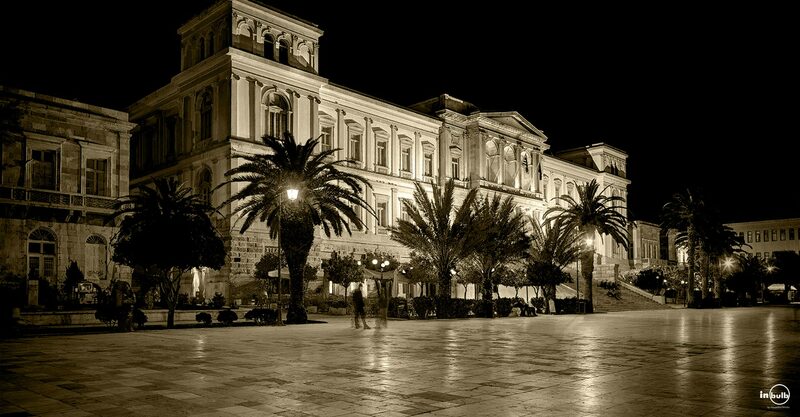 Miaouli Square is located in the centre of Hermoupolis and it is one of the largest marble-paved squares in Greece along with Spianada Square in Corfu. An urban area identified both with the island’s and the country’s modern political history and with the residents’ contemporary life and the visitors’ travel experience. The square was initially named “Othonos square” and “Leotsakou square” (1860-1870) and it was one of the few squares in 19th century Greece. The hallmark of the square is the statue of Admiral Andreas Miaoulis (1889) and the marble platform (1907) with embossed representations of Apollo and the Muses, made of Pentelic marble. Apart from being a famous meeting point for locals, the square has “experienced” a number of historic events. In October 1862, the people of Syros were gathered on the square to be informed on Otto’s dethronement. In 1912 they welcomed Eleutherios Venizelos on the square and in 1917 the crowds jeered at king Constantine on the same square. This is also where the speaker announced the armistice between Italy and the Allies in 1943. This very square is where the heart of the city beats in the summer and it is also a favorite spot for music concerts and events with visitors marveling at the surrounding buildings and shops and enjoying strolls in the nearby streets. One of the largest city halls in Greece and an imposing building of great architectural interest. The work of German architect Ernst Ziller, Hermoupolis City Hall was built in 1876 and the works were completed in 1898 under Mayor D. Vafiadakis. It is worth noticing: the monumental marble staircase at the entrance on the Miaouli square side which is 16m wide, the two long wings with towers at the four corners of the building, the pediment in the central marble part and the historic inscription «Ερμού Δήμος τάδ’ είσατο δημαρχούντος Δ. Βαφειαδάκη», which means ” the municipality of Hermes erected this building under mayor D. Vafiadakis “. 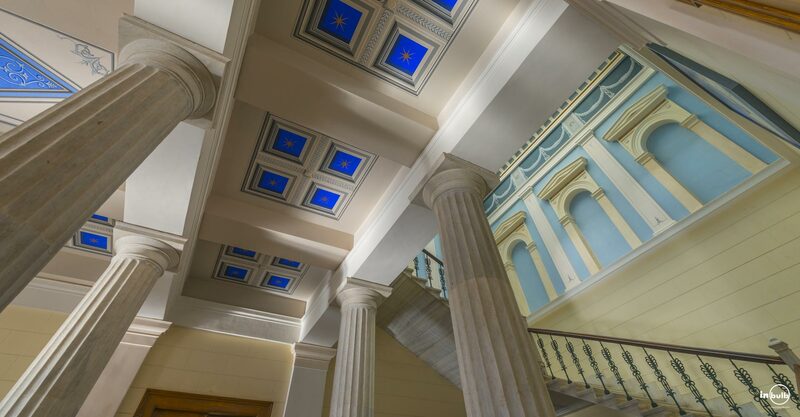 The inside boasts a stunning marble pendant staircase 2m wide leading up to the first floor to the municipal council meeting room which is famous for the full-length oil paintings of King George I and Queen Olga. The city hall houses the offices of the Municipality of Hermoupolis, Courts, the Archaeological Museum of Syros and other government services. This wonderfully preserved three story building is open to the public in the mornings, and on Saturdays and Sundays in the summer months. 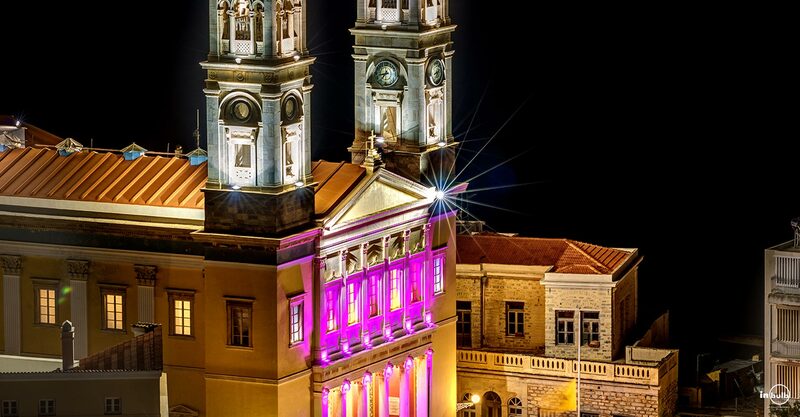 If there is one cultural space in Syros combining historic significance, architectural value and a plethora of quality events, that is the Apollon Municipal Theater. Built in 1864 and designed by Italian architect Pietro Sampo, this two story building located at the end of Melina Merkouri street on I. Vardaka square, is the hallmark of the island’s cultural development. With a simple exterior, the central part of its main facade is made of marble. Its interior is built according to European specifications: the parquet, the orchestra area, the three rows of wooden loges and the gallery, the marvelous painted ceiling are all reminiscent of Italian and French theaters. The theater’s layout has been associated to four Italian model theaters: La Scala Theatre, the renovated «San Carlo» theater in Naples, «Castelfranco» theater and the «Teatro della Pergola» in Florence. Furthermore, 19th century French influences are evident all over the roof support system. 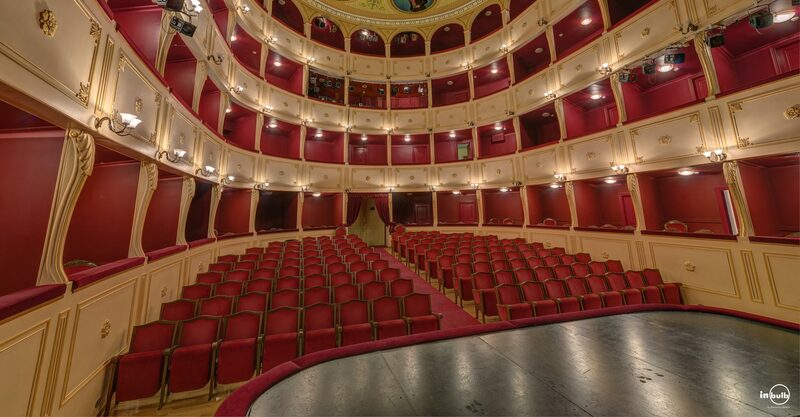 With a diverse program all year round, the theater hosts performances of local amateur theater groups, as well as cultural events organized by the Municipality, the famous “Ermoupolia”. On a prominent location at the eastern part of Syros and right where the Vaporia district begins, the Orthodox church of Aghios Nikolaos, looks after the town and protects its people. The construction of this magnificent marble church was aided by Otto, the Baron Sina and others. The foundation was laid in 1849 in the presence of major actors such as Otto’s Captain and engineer G. Metaxas (blueprints) and architects A. Zinopoulos, I. Vlissidis, D. Eleutheriadis and J. Vaugarni from France. Taking a look on the outside, we observe that the church is an elevated domed basilica with a marble parapet and railing. The main entrance has a porch with four Ionic columns, crowned with a pediment and two marble steeple towers. The inside is mainly made of marble with grey-blue floor tiles. 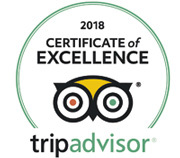 The huge marble temple is truly magnificent; one of the most beautiful temples in the history of modern Greece, made of Pentelic marble with Italian marble inlays. It is covered with embossed and engraved jewelry accented with gold, coupled with wonderful icons on the right, left and upper part of the sanctuary door, all works of monks from the Russian monastery of Mount Athos and famous Russian religious painters. It is worth noting that the marble pulpit was modeled on that of the Athens Cathedral. The splendid marble throne is adorned with gilded details and is surrounded by two marble sculpted angels. Aghios Nikolaos is the ideal place for the faithful but also for all you art and architecture aficionados! Explore our hotel, through an amazing Virtual Tour!